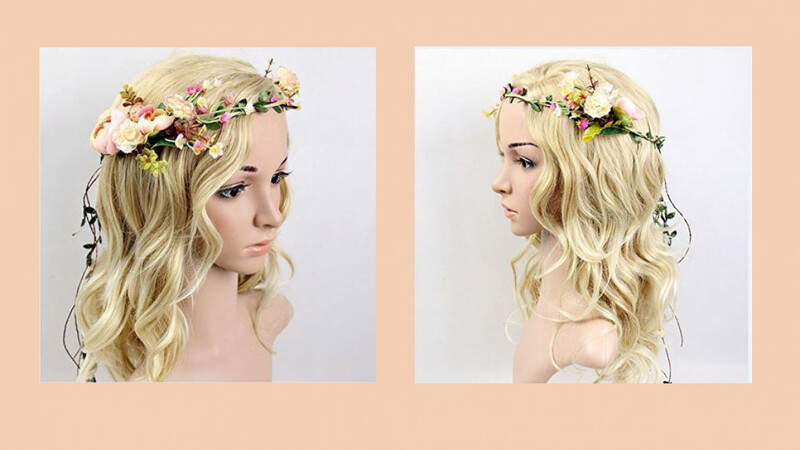 This beautiful floral wreath hair accessory is adjustable so that it will fit anyone perfectly. Great for special occasions or for everyday wear if you are someone who likes to wear hair accessories. Suitable for a bride or for bridesmaids in order to make wedding outfits complete. This is a handmade item featuring exquisite workmanship and the flowers look extremely realistic. An elegant design that works with almost any hairstyle.